In this blog post I will briefly develop three interrelated strands of analysis – political economy, policy, and methodology – that I argue are central to understanding and reducing health inequalities. Focusing on England, it will be argued that within each of these strands the dominant approaches to framing and responding to health inequalities are, more or less, complementary and provide a relatively ‘neat’ and unified understanding and response to this social problem. In short, political economy, policy, and methodological components complement each other with their tendency towards individualism, treatment and behaviour, and linearity respectively. Unfortunately the ontological and epistemological coherence that cuts across these is negatively reinforcing and goes a long way towards explaining the persistence of health inequalities in England. The purpose of this blog post is to make the case for challenging and redefining each of these strands and I do so through making three propositions at the end of each section below. The economic recession of the mid-to-late 1970s in the UK led to a crisis in Keynesianism and enabled a shift to neoliberal ideology, as the then Labour government submitted to budgetary restraint and austerity mandated by the International Monetary Fund (Crouch, 2011 and Harvey, 2005). Successive governments, commencing with Thatcher’s tenure as Prime Minster in 1979, have viewed the market as the optimal or default form of economic organisation (Sayer, 2016), while key instruments of the welfare state, including local government, were seen as placing constraints on the central state’s marketization project (Crouch, 2011). These changes also marked (and arguably responded to) a shift from collectivism to individualism in society. One consequence of this was that inequality was no longer seen as necessarily problematic, which allowed for less progressive taxation, privatisation of public assets and runaway salaries at the top of the labour market. As a result the UK witnessed rising income inequality from the late 1970s onwards. Since then health inequalities have remained remarkably persistent and, as Scambler and Scambler (2015: 343) note, there have been, ‘endlessly repeated statistical associations linking socio-economic classification to health’. Much less common, but still important within the academic literature, are calls to question the structural and class forces that are key causal factors in producing health inequalities (see, for example, Coburn, 2009; Lynch, 2017; Scambler and Scambler, 2015; Schrecker, 2017; Wistow et al., 2015). The apparent disconnect between the understanding of the pattern and distribution of health inequalities and the reluctance amongst some in academia to ask the deeply sociological questions (essentially the next logical step) about the structural forces producing these is our first hint at how political economy, macro-economic policy arising from this, and methodology are aligning to undermine the potential to tackle health inequalities. Without addressing and understanding the causal processes produced through the political economy; policy designed to tackle health inequalities is likely to be no more than a ‘sticking plaster’ for the deep cut that these represent within society. The extent to which the state is seen to have a role in modifying the inequalities that are (re)produced across society should be a key debate within social and economic policy. However, and as we have seen, this has too long been either neglected, or more conspiratorially, intentionally marginalised in mainstream debates about the political economy. Within the more focused domain of health and health-related policy it is important to question the extent to which governance structures enable the social determinants of health to be effectively identified and addressed. Gerald Wistow (in Wistow et al., 2015), described the NHS as being based on a ‘category error’ that tended to mirror the medical model’s concern to treat symptoms more than causes of ill health. The relative power of medicine within the NHS remains largely secure, despite prominent challenges from McKeown in 1976 and the development of a longstanding evidence-base about health inequalities dating back to the Black Report in 1980 that was subsequently revisited and refreshed through the 1998 Acheson Report and the 2010 Marmot Review (2010). In short, each of these pointed to the material and structural causes of health inequalities and what should be interpreted as the complex causal relationships that intersect with social standing (class) and place, in particular. The fact that only four per cent of NHS spending in the first decade of the 21st century was on health promotion and preventing illness (NAO: 2013)​ demonstrates just how skewed resourcing is towards the treatment of the symptoms rather than the underlying causes of health. It is also significant that this distribution of resourcing occurred at the same time as New Labour’s Tackling Health Inequalities policy agenda. Even within the field of health promotion and prevention the balance is wrong. A recent speech by the Secretary of State for Health and Social Care, Matt Hancock, on prevention nicely illustrates this point. He started by saying, ‘I want to talk about how preventing ill health can transform lives, and transform society for the better too. That might sound radical. It is intended to.’ To many this is far from radical but, nonetheless, revealing in that Hancock both thinks it is and has gone as far as to emphasise this point. Hancock’s focus moves on to consider the significance of peoples’ behaviours for their health. The argument here is not that behaviours are unimportant; they are extremely significant for health outcomes, but that they are complex and nested in a wider social structure within a neoliberal political economy. Hancock’s response, in this respect, is both predictable and disappointing: ‘I want to see people take greater responsibility for managing their own health…how can we empower people to take more care of their own health? By giving people the knowledge, skills and confidence.’ He does not, however, consider the nature of the political economy, nor the social determinants arising from this in his analysis and instead essentially isolates behaviours within debates about individual agency without due consideration of social and structural contexts these are situated in. The NHS compounds the category error at the level of the political economy of using a sticking plasters when stitches are required and, to extend the metaphor, does so by producing a plaster that is both too small and the wrong shape for the cut, with little hope of covering it, let alone stemming the flow. Under these circumstances methodology should help us to understand and frame the problem better but as we will see the dominant approaches here are lacking. Back in 1979 Lesley Doyal with Imogen Pennell wrote, The political economy of health, and argued that the, ‘emphasis on the individual origin of disease is of considerable social significance, since it effectively obscures the social and economic causes of ill health.’ They continue that the medical emphasis on individual causation is one means of defusing the political significance of the ‘destruction of health’. As we have already seen the evidence-base linking social and economic inequalities to health inequalities has developed considerably since Doyal and Pennell were writing. 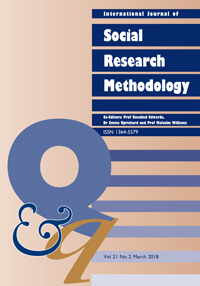 However, despite public health researchers and professionals generally understanding that the causes of ill health are complex and structural Salway and Green (2017: 523) conclude that both health promotion campaigns and journal evidence, ‘suggest we remain deeply wedded to linear models and individualistic interventions.’ Here the dominance of Randomised Control Trials (RCTs) and, to a lesser extent, epidemiology have significant limitations for understanding an inherently social problem such as health inequalities. RCTs are often considered to be the gold standard in medical research and are increasingly having an influence over public health and social sciences research. For example, the National Institute for Health Research has recently funded a £1.5million evaluation (in the form of an RCT) of ‘Strengthening Families, Strengthening Communities’, which is an evidence-based parenting programme, designed to promote protective factors associated with good parenting and better outcomes for children. However, questions have to be asked about the extent to which an RCT is capable of understanding the dynamic and relational factors that operate at levels above and beyond individuals (see, for example, Kelly, 2010) in a research problem such as this. Instead RCTs fit very well with the reductionist approach of medicine to simplifying and dividing problems into sub-components, thereby, losing sight of the embeddedness of entities in their interconnections (Chapman, 2004). The effect of epidemiology over public health policy can be seen through the example of Hancock’s speech about prevention. Here public health policy is reduced to identifying factors and markers for disease and using knowledge and empowerment to encourage people to take responsibility for this. The political significance of health is lost and questions are not asked about the ‘causes of the causes’ of ill health with implications for how the state through public servants is likely to encourage individual responsibility for health across social classes. For example, is someone who works as a professional and lives in a healthy area more or less likely to be receptive to being empowered through knowledge than someone who lives in an unhealthy neighbourhood and whose experience and interactions with the state are largely negative through the excessive monitoring and surveillance that comes with living on (or potentially previously living on but no longer doing so due to changes in allocation criteria) incapacity benefits? The point here is not that epidemiological data is not useful but it should be part of inquiry. Complexity theory helps to respond to these limitations. Firstly, through framing complex problems like health inequalities and secondly through advocating mixed methods and perspectives. Let’s focus on premature mortality rates resulting from cancer as an example of health inequalities. Many of the causes of cancers for individuals (as ‘cases’) relate to a complex combination of lifestyle behaviours such as smoking, diet, exercise, bodyweight, and exposure to sunlight. However, it is very difficult to isolate these behaviours and attribute causation to these as individual variables. Indeed we can question whether this is a desirable strategy given that in practice people do not live their lives in neat and separate component parts: diet, frequency of exercise, social and work activities, alcohol and nicotine consumption, are all parts of the complex whole that make up individuals’ lifestyle. But this is not the whole picture (and an example of where Hancock’s analysis is fundamentally flawed) because lifestyle, in turn, relates to (but is not wholly determined by) the contexts in which people live their lives. Different people react to these different contexts differently. The social gradient linking health status to social status is an important factor here and cuts across a multi-scalar approach to context that includes family, workplace, neighbourhood settings, towns, cities and regions – all important contextual characteristics within which people lead their lives. Here we are talking about multiple and non-linear causation in which individuals are embedded and the importance of interactions between these multiple causes. In responding to these issues Castellani (2014) argues that for complex systems both social reality and data are best seen as ‘self-organising, emergent, non-linear, evolving, dynamic, network-based, interdependent, qualitative and non-reductive.’ It follows, therefore that no one method (especially statistics), ‘can effectively identify, model, capture, control, manage or explain them’. Health inequalities are complex and no one methodological approach should take precedence in understanding these. By opening up the methodological toolbox and using a variety of methods we can develop a much fuller understanding of how these exist within complex systems, which, in turn, directs our attention much more fully to the constraints in the political economy and the limitations of policy as presently configured. Jonathan Wistow is an Assistant Professor in the Department of Sociology at Durham University. The blog is based on research for chapter in a forthcoming book commissioned by Policy Press called Social policy, political economy and the social contract, which is due for publication in 2020. Chapman, J. (2004) System failure: Why governments must learn to think differently, London: Demos. Coburn, D. (2009) Income inequality and health. In Panitch, L. and Leys, C. (eds) Morbid Symptoms: Health under capitalism. Pontypool: The Merlin Press. Crouch, C. (2011) The strange non-death of neoliberalism, Cambridge: Polity. Department of Health (1998) Independent Inquiry into Inequalities in Health – Report. London: HMSO. Doyal, L., with Pennell, I. (1979) The political economy of health, London, Pluto Press Limited. Kelly, M. (2010) The axes of social differentiation and the evidence base on health equity, Journal of the Royal Society of Medicine, 103(7), 266-272. Lynch, J. (2017) Reframing inequality? The health inequalities turn as a dangerous frame shift, Journal of Public Health, 39: 4, 653-660. Marmot Review (2010) Fair Society, Healthy Lives: Strategic review of health inequalities in England post-2010, London: The Marmot Review. McKeown, T. (1976) The role of medicine: Dream, mirage or nemesis? London: Nuffield Provincial Hospitals Trust. Salway and Green (2017) Towards a critical complex systems approach to public health, Critical Public Heealth, 27:5, 523-524. Sayer, A. (2016) Why we can’t afford the rich, Bristol: Policy Press. Schrecker, T. (2017) Was Mackenbach right? Towards a practical political science of redistribution and health inequalities, Health and Place, 46, 293-299.